National Grid must maintain a frequency close 50 hertz on the electricity system, and the input of supply sources such as wind farms must be managed accordingly. 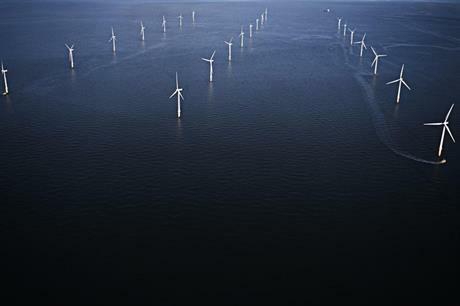 "Offshore wind is one of the most flexible forms of power generation and can provide this type of service to National Grid, said Dong's revenue and grid compliance manager, Vandad Hamidi. "Our tests were carried out to demonstrate that offshore wind farms can provide this service reliably and flexibly." The tests were coordinated from Dong’s control centre and carried out in cooperation with National Grid’s electricity control centre in Wokingham, Berkshire. Richard Smith, head of network capability (electricity) at National Grid said: "For us, these sorts of tests by suppliers are important in helping us understand the capability of the whole electricity system, and how we ensure a safe and stable supply of energy into future." Located in Liverpool Bay, Burbo Bank has been fully operational since 2007. A 258MW extension is under construction and due for completion in 2017.